Could you have a hidden leak in your home? It happens more frequently than people imagine. You may think that your house is dry as a bone until one day you find a puddle on your basement floor or water stains on your walls. At Thousand Oaks Star Plumbing, we know the value in finding hidden leaks fast and taking swift action to make water line repair. Most people believe that a main line clog will only affect flushing the toilet. However, when these clogs become severe they can put just enough pressure on a pipe that it can break and leak raw sewage. The waste water can leak into your yard and leave you with a smelly, nasty mess. 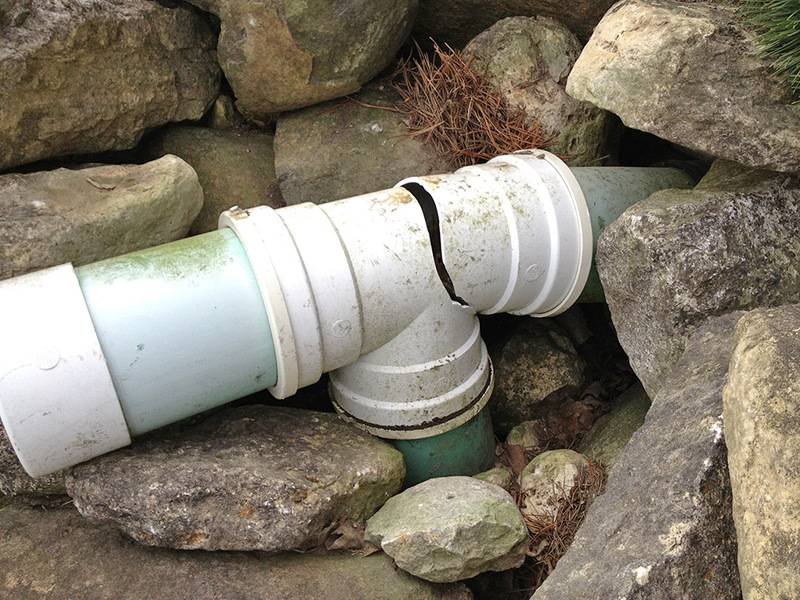 Sewer line clogs are the only types of hidden leaks that affect homes through the area. Slab leaks are quite common, especially since there are so many older homes in the area with piping that is several decades old. A slab leak forms in the pipes beneath the foundation of a home and is caused by too much water pressure in the line, perforations, and misaligned pipes. The problem with these kinds of leaks is that they can go on for a long time without being noticeable right away, which can lead to serious foundation issues, water damage, and expensive repairs. If you suspect that you need water line repair, call and emergency plumber right away. Getting to the source of the problem quickly and making fast repairs can mean the difference between a small plumbing issue and a severe plumbing repair. Call Thousand Oaks Star Plumbing for more information about water line repair in Thousand Oaks today! A functional plumbing system is an essential part of any home. When a persistent clog completely plugs up the bathroom drains or creates a pipe leak that soaks your entire kitchen, it can have a profound impact on your daily life. We know how frustrating these plumbing issue are for our clients, which is why Thousand Oaks Star Plumbing technicians are available for urgent drain cleaning projects every hour of the day throughout the entire week. As a member of the Thousand Oaks business community, we look forward to every opportunity to work with local residents to address their pressing plumbing needs. Our clients may contact us whenever an issue arises at their home and we’ll dispatch a professional plumber to assess the situation as soon as possible. Our customer service is standing by to take emergency service calls 24/7. We take every single job seriously, no matter how big or small the scope. As trained and experienced plumbers, our technicians have the skills and equipment needed to take care of any drain cleaning job in your home. We use advanced hydro-jetting solutions to blast away layers of sediment, mineral scale and solid blockages, which reduces overall labor and time requirements drastically. Our plumbers also use specialized detection equipment, like mobile video cameras, to examine your plumbing system from the inside. This allows them to figure out if the clog did any damage to the surrounding pipes, or if there are any other issues developing. Preventative inspections and maintenance is an easy way to deal with potential issues before they become a real problem. When disaster strikes your plumbing at the worst possible time, you can rely on us to help you overcome the challenge with reliable and affordable drain cleaning solutions. We want to earn your trust and become your go-to plumbing company in Thousand Oaks, which is why we always put all of our effort into delivering fantastic results for our customers. Give us a call to learn more about our drain cleaning and other plumbing services, or to request a no-obligation estimate for your project! Is it time to replace your water heater? Replacing a water heater is inexpensive and sometimes choosing a replacement appliance isn’t as straightforward as you want it to be. At Thousand Oaks Star Plumbing, we know how important this decision is. 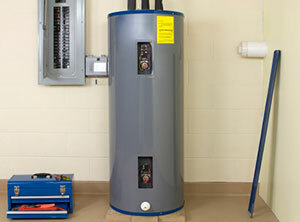 Here are some things to consider when purchasing a new water heater. Water heaters come in different sizes. You may think bigger is better, but that isn’t always necessarily the case. You could end up spending more on a unit that you really don’t need. To figure out what size water heater is right for your household, start by looking at how many people live in your home. Refer to the following information for average hot water usage. Next, consider how many faucets, toilets, etc., you have in the home to determine an average flow rate. Here is a list of average flow rates for typical household fixtures. Gallon capacity and flow rate, combined, will help you determine the right sized water heater for your home. A lot of households are switching to tankless water heaters because of the energy savings. Is a tankless water heater a good choice for you? If you have a home with limited space for a monstrous water heater, then a tankless water heater is a good choice. These appliances can be mounted in areas that would never accommodate a tank heater. Another perk of a tankless water heater is that it heats on demand and doesn’t store hot water. This means that you’re not heating water when you don’t need it and wasting energy. However, on demand water heaters do have some limitations. For example, if you have a large family with a higher than average hot water need, one tankless heater may not be enough for your household. In a case like this, you may need two or more tankless units, which can end up being quite pricey to install. At Thousand Oaks Star Plumbing, we understand that choosing a new water heater is an important decision. If you’re having trouble deciding, give us a call and we’ll send a plumber to your home to help you select and install a new water heater.